There are a lot of complex emotions and interactions that can take place during an intervention for drug and alcohol addiction. In order to minimize some of the intensity and organize thoughts or feelings it can be helpful to have those involved in the intervention write a letter. This letter will give them time to reflect on their experience of this person’s addiction and decide in advance what they want to say to them. There are several steps involved in putting together an intervention and writing a letter is part of the preparation and planning of the gathering. Once a certain group of concerned family members and friends decide that they want to confront or talk to someone about their addiction then they need to figure out how to address it. If each member of the group writes a letter before the intervention takes place it can prevent any unplanned conflict or heated discussions that could derail the event. Interventions can be unpredictable so it is important to have the meeting planned as carefully as possible. 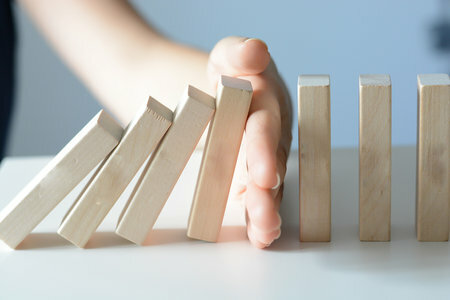 If things happen too spontaneously it can lead to problems and cause the addict to distance themselves from loved ones, going further into their addiction. Having prepared statements in the form of letters helps everyone feel mentally prepared and allows them to avoid saying something they will later regret. 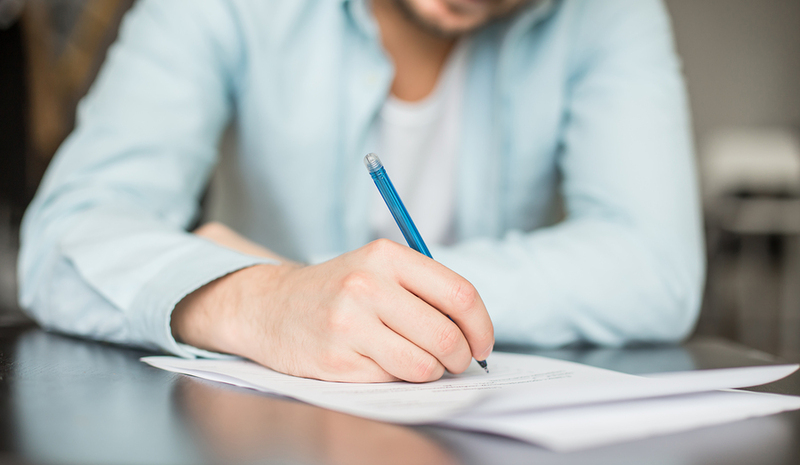 Before getting started on writing a letter to read during an intervention, it is important to consider why the letter matters and what it will help to accomplish. The letter is helpful for both the addict who is being spoken to and the person reading the letter because it allows everyone to stay grounded and focused. Reading letters will keep everyone on track so that the intervention doesn’t stray from the original purpose of expressing feelings of concern. Letters have a tone that reflects a more relaxed state of mind that a person has when they are writing and tapping into deeper feelings. The tone is less likely to sound accusatory and angry but instead more supportive and positive. People at the intervention will also be less likely to feel confused about their feelings or blank out and not know what to say. In the preparation for the intervention, the group can also use the letters as a way to rehearse the whole event and practice reading them. They can receive feedback from other members of the group and possibly edit the letters if there is anything that needs changing. That way everyone can agree on what should be said at the intervention and the best strategy and overall tone that will get the addict into treatment. The process of writing an intervention can be cathartic for people who have been witnessing a loved one abuse drugs. It is a chance for them to reflect on how the drug abuse affects them and everyone involved. It also gives the writer time to consider how they feel and how the addict might be feeling as well. An important aspect of writing an intervention letter is to allow yourself to feel compassion for the addict and think about what it is about their behavior that truly bothers you. While you are brainstorming an intervention letter, put yourself in the addict’s shoes and reflect on what they must be going through. Even though you might have some feelings of resentment or anger, try to focus more on the pain that they must feel. While there are many different ways to write an intervention letter, it is a good idea to read it over and make sure that the overall tone is loving and compassionate. Your message should be that you love this person in spite of what they’ve done and you want them to get healthy because you care about them. Being loving but non-confrontational is the key to writing an effective intervention letter. You can always include personal feelings about the loved one, talk about your relationship and the times they have been there for you. Starting off on a positive note can help prevent the loved one from becoming defensive right away or from feeling attacked. They will understand that the intervention is more about love and care rather than anger or disappointment. The rest of the letter can include some specific examples of how their addiction affected you and discuss your desire for them to get help. The ultimate goal of the intervention is to persuade this person that they need to enter a treatment center. Each letter should include a statement discussing the desire of everyone for the addict to enter rehab. An intervention can go much more smoothly if everyone writes a well-thought out letter reflecting their feelings. Look for examples of other intervention letters to give you an idea of what to write and you can work on it with the help of other family and friends. Not everyone who attends rehab for an addiction is doing so voluntarily because they have made a decision to quit. Many people end up quitting drugs as a result of legally mandated treatment ordered by the criminal justice system. Even though it may not be the individual’s personal choice to receive treatment, these kinds of treatment programs can still be very effective at facilitating long-term sobriety. Drug offenders are often pressured by the court to participate in drug abuse treatment as a way to help rehabilitate them and reduce the population in already over-crowded prisons. Instead of facing jail time, someone who has broken the law with a drug related crime can go to treatment and learn how to manage their addiction. 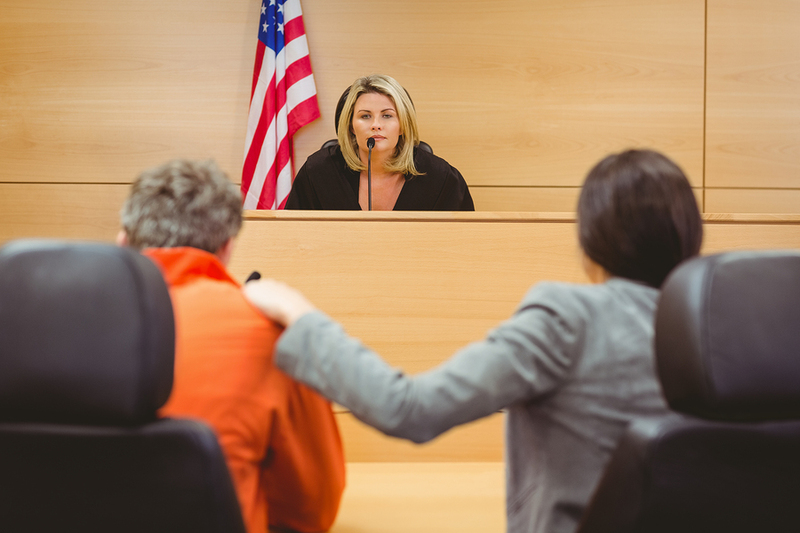 Surprisingly, these types of court ordered treatment situations have success rates that are as good or better than those that lack any kind of legal pressure. Being ordered to attend rehab depends on the crime and whether the judge and prosecution believes the person will benefit from treatment. Court ordered rehabilitation is mandatory which means that the offender has no other option but to enter a rehab program. Most often, the offender was under the influence of an illicit substance when they committed their crime and the nature of the crime is not severe enough to merit jail time. People who commit minor crimes while under the influence of drugs might do so because their drug use has impaired their judgement. They also might be stealing or getting involved in some other illegal activity simply to fuel their addiction. In these cases, court ordered drug treatment is a good solution as their criminal behavior is only a result of their substance abuse. One might assume that because the person is forcibly placed in rehab, that court ordered treatment will have no effect on their recovery. The reality is that many people benefit greatly from attending rehab in this situation. They might face more challenges and risks for relapse when they leave treatment, but it is possible to stay sober long-term following mandatory rehab. Research has shown that no matter what the circumstances of a person entering rehab, the treatment program itself has the positive potential for success. A study following a group of men who attended rehab either voluntarily or through a court order found that they had similar success rates after five years of living sober. Both groups of men were less likely to relapse and had high sustained abstinence rates. There are many different reasons why mandatory treatment is still effective for addicts. Most people attend treatment voluntarily do so after they have hit “rock bottom” or have faced some difficult consequence of their addiction. A person who faces potential jail time is dealing with some serious consequences, and might realize that their addiction is what put them into this situation. People who attend rehab voluntarily are sometimes confronted by people in their lives through an intervention. In this situation they are told that their addiction has become out of hand and that they need to attend treatment. Court ordered treatment is another case in which the individual is told that they would benefit from rehab because their addiction has become harmful to themselves and others. Mostly, the effectiveness of mandatory rehab is due to the fact that treatment centers can help provide people with the motivation they need to quit. Even if someone did not have enough internal motivation to check themselves into a treatment center, their rehab program can help foster the desire to be sober. Being around people that want to make positive changes can be inspiring and change a person’s mind about their drug use. Mandatory treatment can be very effective, but patients must be especially careful to avoid relapse as they often face unique challenges after returning home. People who have committed crimes due to their addiction might have a number of other problems to deal with such as educational and employment issues, mental health problems or financial difficulties. It is important for people to continue receiving support following their court ordered treatment. Returning home can mean facing triggers and people from the past who may still be involved in drugs or crime. In order to avoid the temptation to return to a criminal lifestyle, the individual must be careful to stay in contact with other sober people from their rehab program or twelve step group. If the rehab center offers an aftercare program then this can be very helpful in preventing relapse. Anyone charged with a drug related crime will benefit greatly from attending a treatment program as an alternative. Rehab is an inherently positive experience no matter what kind of circumstances led you there. Are Holidays the Right Time to Stage an Intervention? The holidays are a time when family reunites and though they might enjoy their time together they also must deal with unresolved conflict in some cases. Families who are concerned about someone’s alcohol or drug use might wonder if they can use the holidays as an opportunity to reach out to them. 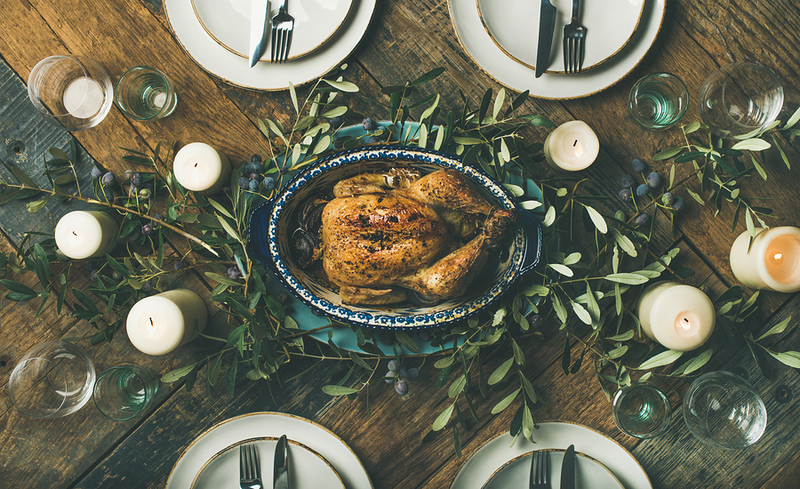 As long as it is planned thoughtfully and carefully, there is no reason why you can’t stage an intervention during the holidays. In fact, the holidays may present a prime opportunity to talk to someone about their substance abuse. The family may already be worried about how to handle this person’s drinking at family gatherings or consider not inviting them at all. Instead of avoiding the problem or pretending it isn’t there for the sake of getting through the holiday, it may be time to deal with the issue head on. An intervention during the holidays makes sense for a number of reasons. The family is already gathered together including relatives that live far away and whose presence may have more of an impact on the addict. Having lots of family members around can create more awareness about the addict’s behavior when they see how problematic their substance abuse has become. Interventions always work best when there is a group of people present who have genuine concern and want to provide positive support for the individual struggling with addiction. A bigger group of loving family members who want the best for their niece/nephew, grandchild, cousin, etc will make the intervention more meaningful. Strong family bonds can help break through the thought process of the addict and help them see that they need treatment. The important thing to keep in mind when you are considering an intervention is that it must be thoroughly planned beforehand to prevent any problems from coming up. A poorly planned intervention can leave the situation unchanged or even cause the issue to become worse. Give yourself ample time to start working on the intervention and contacting everyone that you want to include before the holidays come up. The first step in staging an intervention is educating yourself on addiction and how to approach the conversation about their substance abuse. Gather as much information as you can so that you are not entering the situation blindly. Try to research their particular problem and the methods of treatment so that you know how to discuss the topic of getting help with them. As you research and learn more about addiction you can start gathering people together who feel the same way as you do about the situation. Make sure to find people that you think can get through to the person but also confirm that they have a solid understanding of how to approach the problem as well. Avoid including anyone that has a lot of anger and resentment toward the addict and might create a highly charged scenario. Once you have a group of people that you feel that you can trust with putting together an intervention, make sure that everyone is on the same page about what to say and how to talk to the addict. Set a date and location as well as a structured plan so that you feel confident about the group doing their best and succeeding in getting the person help. It might be a good idea to include some non-family members so that they can focus more on the facts of the situation and have less of an emotional response. The ultimate goal of any intervention is to make sure that the addict is able to admit that they have a problem and need to get treatment. Before the event takes place make sure that you research a local treatment center and can quickly get the person admitted to the program immediately after the intervention is complete. Waiting too long could result in the person changing their mind or continuing their abuse as they delay their treatment. At the intervention you can present the addict with the treatment options you have researched beforehand. You can tell them about the treatment and ask them to accept on the spot so that there is no time wasted. Ideally, the addict will say yes to the treatment center and you can get them enrolled right away to complete their initial detox process. If you are at all concerned about staging a successful intervention you can find a professional interventionist to help you with every phase of the process. They can assist you with setting up and completing an intervention during the holidays. Consulting with any addiction professional can help you ensure that your intervention will go smoothly and your loved one will get the help that they need. If someone you love is struggling with drug or alcohol addiction, chances are, you are feeling a wide variety of emotions. It is not uncommon to feel frustrated, angry, and helpless when a loved one is struggling with addiction. Addiction is a dangerous disease that can truly wreck havoc on an addict’s life and have a profoundly negative impact on their behavior. When a person is struggling with addiction, they may effectively become a “different person,” and often will become very angry or defensive when confronted about their drug or alcohol use. For this reason, many people experience anxiety about how exactly to approach a loved one about their addiction. Here are a few useful tips on how to successfully stage an intervention for a loved one. It is not advisable to stage an intervention without seeking the support of a professional. There are a few reasons for this. Firstly, a professional interventionist is very experienced with different kinds of interventions and can give you an idea of what kinds of behaviors you may expect to encounter when you confront your lived one about their intervention. This can help prevent you from coming across any surprises during what is an already trying situation. An interventionist is also a valuable resource because they are not emotionally invested in the addict’s behavior and can act as a calm and rational moderator who can keep the discussion on track during the intervention. This can be very useful if an intervention becomes very heated or emotional. It is very important that all parties involved bear in mind what the purpose of an intervention is: to help make an addict aware of the way that their addiction and their addictive behavior is affecting the people in their life. This is not a time for blame or anger. It is very easy, however, to lose sight of the intention of an intervention when emotions run high, so making a list ahead of time of everything you would like to say can help make sure that you avoid statements that come from a place of anger. Most importantly, the subject of the intervention must answer some questions sincerely. Reality does not always set in at the onset of the intervention, and time must pass for the subject to come to full grips with reality regarding their addiction. Chances are there are a number of people in your loved one’s life who are being affected by their behavior. Approach the people who you believe may also be interested in attending an intervention. Once you know who would like to be in attendance, tell everyone who is interested that they may join you when you visit the professional interventionist so that the whole group may strategize together. Approaching others should always come, however, from a place of helping the addict and not gossiping about them. Ideally, an intervention should occur at a place where an addict feels that they are in a safe place and will not feel threatened. It is very likely that an addict may become angry or defensive at the onset of an intervention, so choosing a location where they feel safe can help minimize feelings of vulnerability on the part of the addict. It is also preferable that the addict be sober at the time of the intervention so that they can process the information that is being given to them as calmly and rationally as possible. For many addicts, mornings are the time when they may be most likely to be sober. If you live with an addict, take not of the moments they seem to be sober. There are numerous drug and alcohol addiction facilities located throughout the United States and all of them offer people a safe environment in which they can understand the disease of addiction. Clients slowly change through the acceptance of their issues and handle them in a healthy manner by gaining the proper tools to do so while in treatment. The help from a treatment center is really the best help that people can get. This is in part to the fact that it is staffed with professionals who have years of experience in the recovery from addiction. From years of experience and understanding, the staff understands that every person has had their own experience. This also means that their journey to recovery will be their own as well. One integral part to treatment that is focused on is the family unit. No one that is struggling with addiction issues should have to deal with them alone, they are more than likely already experiencing mixed emotions and feelings surrounding being alone, desperation, and misunderstanding. More often than not, drug and alcohol abuse stem from a long line of family history or traumatic experiences that have not been properly addressed. Every Los Angeles treatment center is proud to say that they have helped thousands of people learn how to live a sober lifestyle. Through intensive group and individual therapy sessions, many people throughout the program, as well as, their family members decide to continue utilizing the therapeutic services well after the program has been completed. We do not just help people for a short amount of time; we look to make a life-long impact. Through understanding and properly addressing issues while talking them out and equipping people with the proper coping mechanisms, each and every person that takes part of the recovery process will grow and heal in one way or another. Rehab should not be thought of as a punishment, it is a very nurturing environment where people can learn to love themselves and bloom into the beautiful individuals that they are without drugs and or alcohol.